Many people overlook the potential their garage has to offer. The modern day garage is used for so much more than just a place to hold boxes of stored items or accumulate unorganized clutter. Utilizing the space your garage has to offer can benefit you in so many ways. A renovated garage not only increases the space your home has to offer, but also increases the value of your home. These days, homeowners are turning their garages into man caves, an additional bedroom or mother-in-law suite, a laundry room, an office space, an at-home gym, or to simply create a more effective storage solutions to better manage their belongings. Whatever your garage renovation needs are, the skilled handymen at J. Mota Services have over 12 years experience handling garage renovations in a timely and affordable manner. Renovating your garage is a quick and affordable way to improve the living space in your home. Since 2007, J. Mota Services has offered a wide variety of garage renovation services to local homeowners. 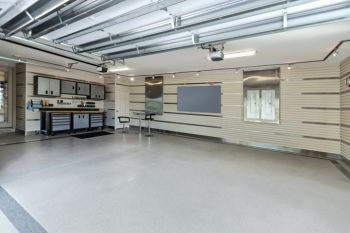 Our attention to detail and quality craftsmanship provide homeowners with a newly renovated garage that improves their day-to-day living needs by transforming unorganized garages into fully functional spaces. All garage renovations by J. Mota Services are completed with care, structural beauty and function. Call (781) 281-9282 for a free quote!